Today we took a loooonnng walk from our anchorage toward Long Pond to pick up some hiking trails that are in our immediate area. On the way, the Haleys spotted us while driving by and stopped to inquire about our plans. 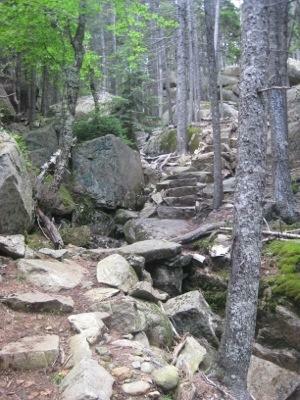 After getting some good advice about trails around Long Pond, we continued on into the Acadia National Park. 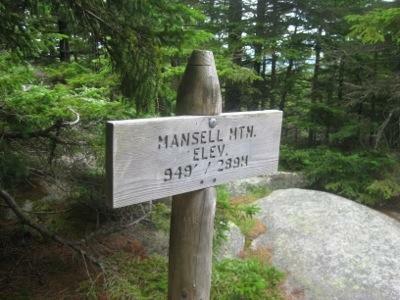 Thanks to Mr. Haley’s recommendation, we took the Perpendicular Trail toward Mansell Mountain. 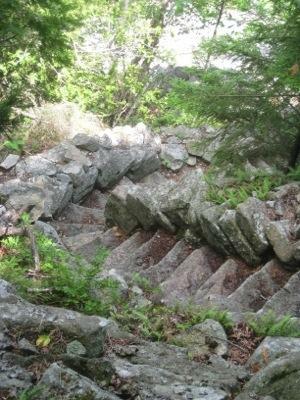 Mr. Haley shared that this trail had “expertly engineered” stairs that were built in the 1930’s by the Civilian Conservation Corps. 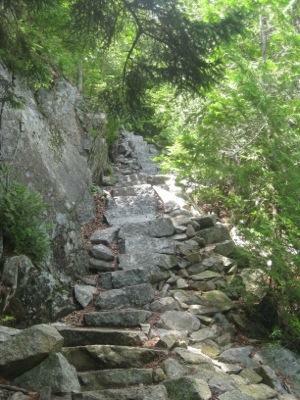 The trail was indeed stairs and they were remarkable! We felt as though we were hiking up a castle. 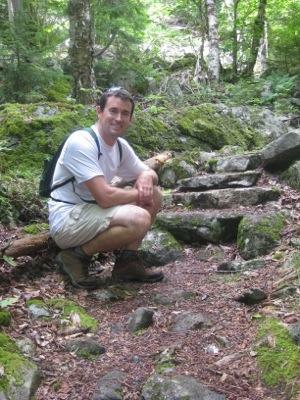 There were great viewpoints along the trail. 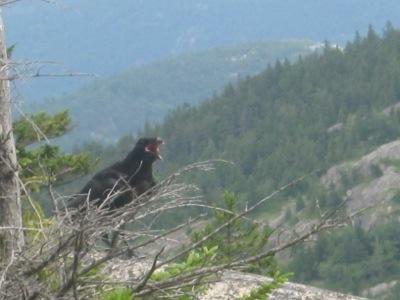 We also paused at a close distance to observe a pair of ravens. 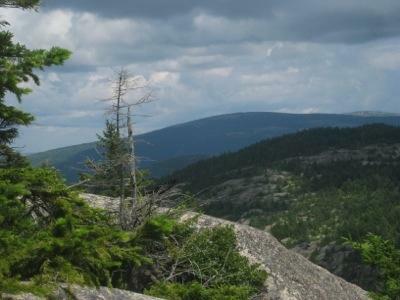 From Mansell Mountain summit, we took the Great Notch Trail down the mountainside. We stopped to wet our whistles and snack on homemade trail mix (or as a true New Englander would say “gorp”). We then continued along the Razorback Trail which took us back to a parking lot that connected us with the Long Pond Trail. Still feeling ambitious after a cooling walk along Long Pond, we decided to hike to the summit of Beech Mountain. The trail sign indicated it was only .9 miles to the top…of course we should have known that .9 miles was going to be steep! 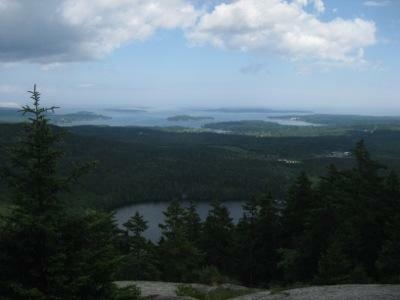 We hiked along, took in some excellent views, and were happy to find ripe blueberries along the way. 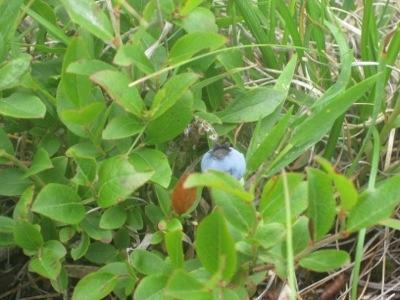 Ah blueberries, Maine’s diamond crop! Beech Mountain has a fire tower at the summit. We climbed the stairs and enjoyed the cool breezes and beautiful view. 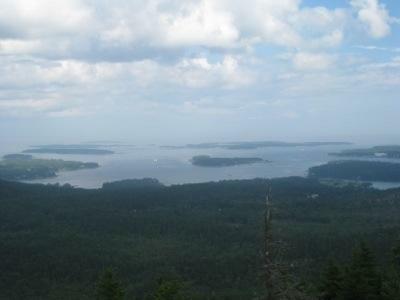 We conversed with a local couple as we identified the sights and shared with them our sailing stops en-route to Mount Desert Island. Back in Southwest Harbor we perused some gift shops and stopped for ice cream at Quietside. Delicious! Refreshed once again we headed back toward Rode Trip, now familiar with the walk to/from town. Thank goodness I brought my flip-flops for the walk home! I had a huge blister on my right heel and was angry at my hiking boots because I had never before gotten a blister from them. Brian assessed the wound, determined that it was stable but open and would need an iodine rinse as soon as possible followed by a dressing. 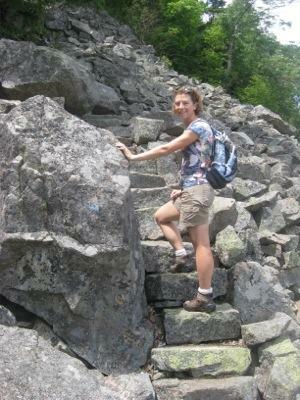 Fortunately we made it back to Rode Trip without my losing my foot! All clean and bandaged, I cleaned the rest of myself before supper. Brian did some fishing but none of the jumping fish were interested in his lure. We had a nice supper of haddock and broccoli with a goat cheese cream sauce. We made tomorrow’s sailing plans with Ryan and Jocelyn, and plans with Martha and Kyle who were en-route and spending the night near Portland, ME. More good times ahead!